We survived the Lilly Pulitzer sale! Carts were filled, orders were placed, cards were charged – or were they!? Below are a few frequently asked questions to ease your minds! I received an order confirmation, but not a shipping confirmation! What does this mean!? Lilly received tens or maybe even hundreds of thousands of orders, which will take a long time to ship. They stated when we ordered that it could take up to 3 weeks for orders to ship. Personally, I’ve never once received a shipping confirmation, they’ve just always popped up! I’ve received my orders from 6pm or signature stores, but not from Lilly. Does this mean the after party sale order has been cancelled?! This does not mean your order has been cancelled, it just takes awhile to ship! The best things in life are worth waiting for! Everyone else seems to have gotten their orders, why haven’t I?! People may have ordered from sites other than Lilly Pulitzer. Also, if some people live closer to King of Prussia, PA, they will receive their orders sooner than those who live in California. Just be patient! Why is it that the third and fourth orders I placed have shipped, but not the ones I placed earlier in the day? Are the first ones cancelled?! No, the stockist simply fulfill orders in the order they receive them, which may be different from the order in which they were placed. Don’t fret my darlings! My credit was charged the day of the after party sale, but now the charge is gone. Was my purchase cancelled? No, the order was not cancelled. If your order is cancelled, you will receive an email stating that it was cancelled. Your card will be charged again when they actually ship, so don’t worry! How will I know when to expect my shipments? I don’t want my husband to see the damage I did hehe. As stated above, sometimes orders never change from “processing” and no email is sent out, but orders show up. 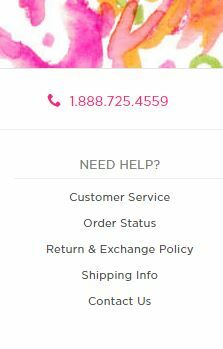 You may be able to check your order’s status on the Lilly Pulitzer website, but it isn’t entirely accurate. 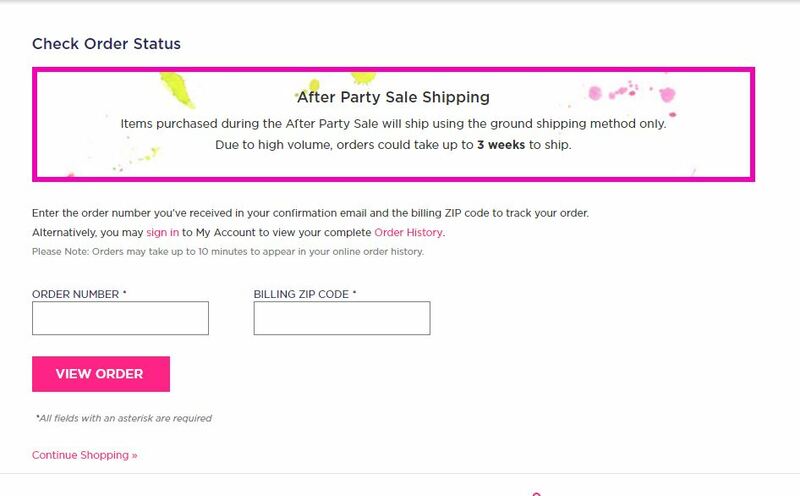 I want to check the status of my after party sale order, should I call Lilly? NO! Don’t waste their time by calling, you can check the status yourself on the website! Step 2: Enter your order number (found in your confirmation email) and your billing zip code, then press enter! I REALLY need my order for my upcoming vacation. I’m going to call Lilly and make them hurry it up. Please just be patient! Lilly workers are certainly doing their best, and calling them simply takes their time away from other more important tasks. You don’t understand, I NEED IT NOW. I’M CALLING! Ugh, I called and she refused to help me, even though I know she could have. I taught her a lesson she will never forget! Do NOT yell at the LP staff, they’re doing the best they can! They have tens or even hundreds of thousands of orders, and the sale wasn’t even a week ago. They are human and the people in the call centers likely have absolutely nothing to do with your orders, so BE NICE! My orders were cancelled! What do I do?! I think I’m going to call Lilly and give them a piece of my mind! Oh no! I’m so sorry to hear that 🙁 However, you may be able to find things you missed out on or “lost” in this FB group event [https://www.facebook.com/events/591879717658077/]! Just remember, it’s only clothing!